Joe Biden And A Homeless Veteran Have A Very Human Moment NPR's Scott Simon has a story this week about something that doesn't make the news much these days: a private and unscripted act of kindness on the streets of Washington, D.C.
Former Vice President Joe Biden, shown at the White House in January 2017, didn't just give a handout to a man in need, but a hand of help. Rashid is the name of a man in a photo that was seen around the world this week. He has broad shoulders, a crinkly-eyed smile and a gray beard. He is a U.S. Air Force veteran who says he served during the war in Vietnam in the mid-1960s and told staff at the Georgetown Ministry Center of Washington D.C., "I was honored and proud to serve." He carries a cane with a bulldog head engraved on the top, which he calls Maggie. Rashid is frequently a guest at the center, which helps provide meals, hot showers, laundry service, medical care and fellowship to people who live on streets that run through a famously prosperous and historic neighborhood in the capital of the United States. The staff at Georgetown Ministry can't reveal much more about Rashid or about how a veteran wound up living on the streets. They are a social service agency and must maintain his privacy. But we know he was sitting on the steps of a movie theater at dusk along the river in Georgetown last week when he saw a man leaving the theater and asked him for money to buy a sandwich. The stranger gave Rashid some cash, then lingered on the steps to talk. Rashid recognized the man: Joe Biden, the former vice president of the United States, who had taken his granddaughter to see a film. Rashid then told Mr. Biden that he has had problems receiving a housing voucher from the U.S. Department of Veterans Affairs. The voucher could help him move off the streets to live in some kind of secure and clean housing. 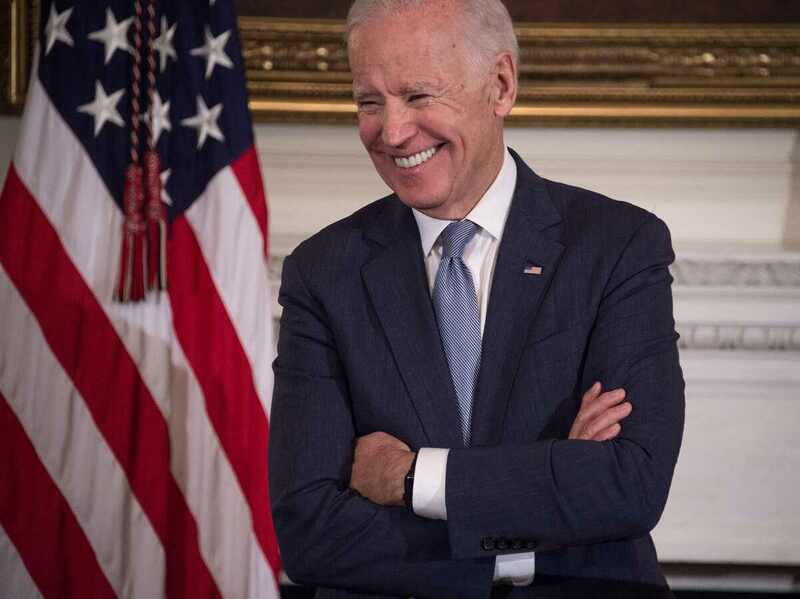 Joe Biden listened to Rashid, then went back inside the movie house to find a paper and pen, and reportedly wrote down the name and number of a someone he knows who might help. It was this image of the former vice president, handing a note of help and speaking patiently to a man who lives on the streets, that was snapped by passer-by on a cellphone and posted on social media sites. The photo captures a moment that may seem too rare these days, especially in Washington, D.C.: a small, telling, private and unscripted act of kindness. Joe Biden has been praised for his grace and goodness. He didn't just give a handout to a man in need, but a hand of help, and stayed to talk. He saw Rashid not just as a homeless man, but a human being. And in a way, the photo that went around the world was recognition for Rashid, too: a man who could now use some help from the country he says he was proud to help when he was called to serve.